We are currently accepting applications to study for a PhD in one (or more) of the areas of research outlined below, conducting research with leading academics, their research teams and collaborators. For the open studentships applicants need not have their own specific research proposal. Indeed many of our students arrive having only identified a general area of interest in which to conduct their research apprenticeships, and there is opportunity for training in a wide range of techniques. Supervision: To see a list of academics and their research interests, please see the School of Psychology academics webpage. This studentship is very generously funded by the Cardiff School of Psychology, and will cover full UK/EU tuition fees along with a Doctoral Stipend matching UK Research Council National Minimum (£13,726 p.a. for 2013/14, updated each year). Awards are available on a +3 basis. Studentships will commence in October 2014 and will cover your tuition fees as well as a maintenance grant. In 2013-14 the maintenance grant for full-time students was £13,726. The award levels for 2014-15 have yet to be published. Residency: The award is open to all UK/EU students without further restrictions. Additionally, the School has in the past been able to offer some successful overseas applicants a stipend and support for tuition fees up to an amount equivalent to UK/EU students, with the remainder coming from other sources, including self-funding. Academic Criteria: School studentship funding is highly competitive. In view of the limited number of awards and the very high standard of applications received, successful applicants should possess or expect to obtain, a first-class or upper second honours degree (or equivalent) in Psychology or a relevant subject. A postgraduate Masters degree (or equivalent) would strengthen your application, but is certainly not a requirement. Consideration is automatic on applying for RFPDPSYA – Doctor of Philosophy (Psychology) (Oct 2014). Please ensure you include your research proposal in your application form and please indicate in the funding section that you wish to be considered for the ESRC funding and whether you are interested in the 1+3 or +3 studentship. Please visit How to Apply for further information. Application Deadline: 15 March 2014. Decisions will be made by 31 March 2014. 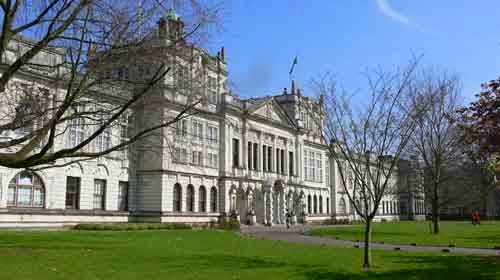 Demikianlah informasi mengenai PhD Studentships in Psychology, Cardiff University, UK semoga berguna bagi anda.